An IHPL representative will receive you at the New Jalpaiguri Railway Station/Bagdogra airport. From here, our representative will be assisting in your further journey to Darjeeling, which is around 68 km away. Located at an average height of 6700 ft, Darjeeling is a beautiful hill station that is famous for its scenic Himalayan trenches and sprawling tea estates. Start your day fresh with a mountain trip to Tiger Hill. Being the highest point of Darjeeling, Tiger Hill offers some of the best sights of the Himalayas, which are apt to be visited early in the morning. Imagine yourself standing in front of the mighty Kanchenjunga peak, the snow clad peaks of which are turning golden due to the rising sun. This panoramic view is the best introduction of Tiger Hill. In order to catch this breathtaking sight, leave early from your hotel. The magnificent hill is around 11 km from the town of Darjeeling. 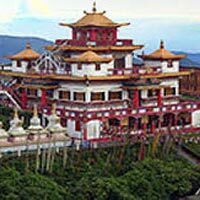 Post that, you would be visiting the Research Institute of Tibetology, Directorate of Handicrafts and Hand looms, Chorten and Orchid sanctuary. By evening, you will be back in your hotel. Call it a day and spend the night at leisure. 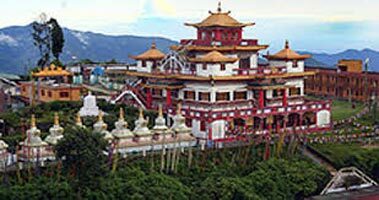 Darjeeling-Gangtok tour is dedicated to excursions from Gangtok. Under this, you would be heading towards the very popular Tsomgo lake and Baba Mandir. Tsomgo is a glacial lake, which is around 38 km from the town of Gangtok. Scaling the Gangtok-Nathula highway, which goes through rugged mountain terrains and cliffs, you would be reaching the beautiful Sikkimese lake. This will take around an hour. Pack your bags and post breakfast, check out from the hotel and Gangtok. You would be transferred to the New Jalpaiguri railway station/Bagdogra airport for your journey back home.